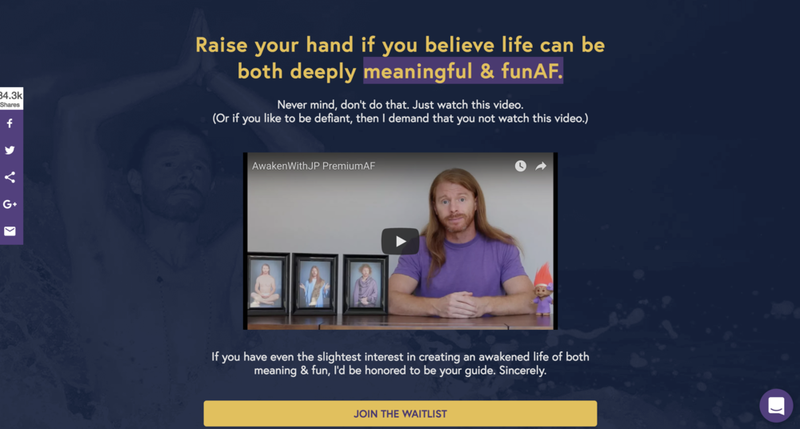 "Awaken with JP: PremiumAF" — a subscription-based learning community to help you create a life that is both deeply meaningful & funAF. JP Sears is a comedian & author best known for his online viral videos. 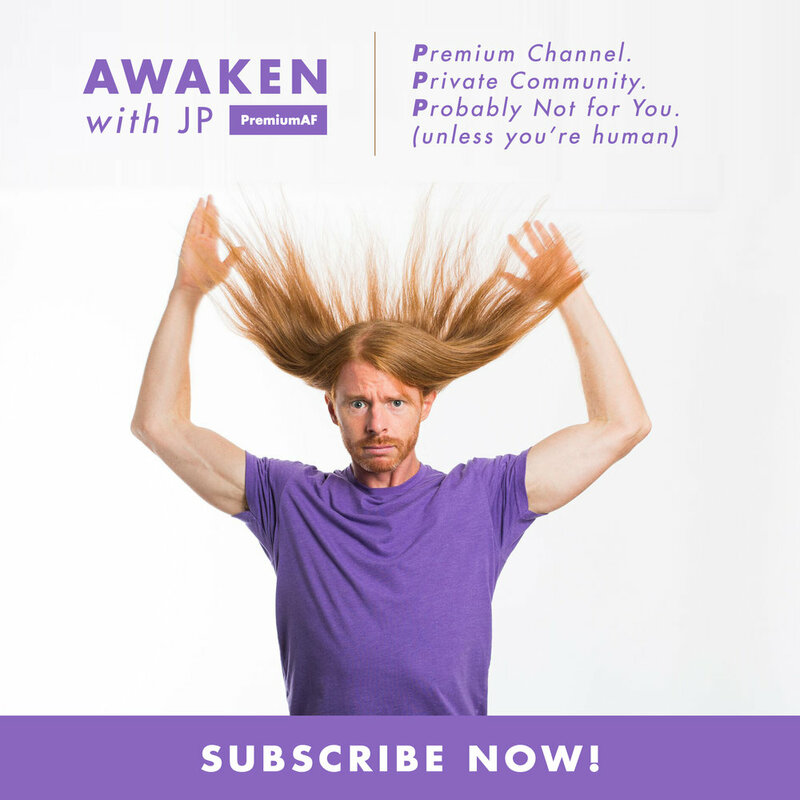 Created, designed & launched "Awaken with JP: PremiumAF," a subscription-based learning community for JP to fulfill & monetize a dream. Developed a six-figure revenue stream in less than 6 weeks. Grew his email list from 7000 to 27,000+ in 3 weeks. Vanity metric: Sales page was shared over 34k times!